Make sure you always know what time it is with help from Mickey Mouse! 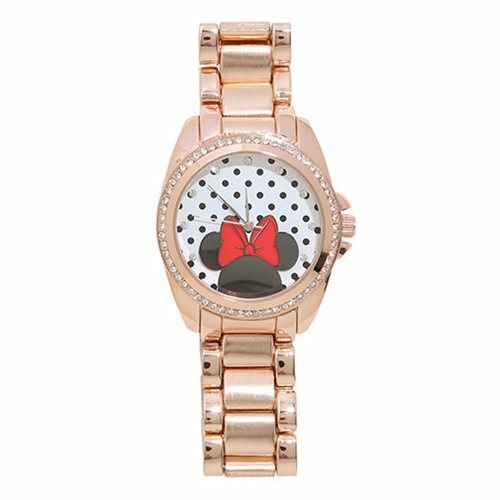 This Minnie Mouse Crystal and Rose Gold Colored Bracelet Watch features a sleek and sparkly design with Minnie's ears and signature bow on the face. With Japanese Quartz movement and a bracelet-style band, strap measures approximately 8 1/2-inches long and the face is about 1 3/4-inches in diameter. Ages 13 and up.